I think we can all agree, Amanda and Taylor make these freezing snowy Chicago days look HOTTTT!!! I’m usually the one writing descriptions of my sessions, but for this blog post I think I’ll let Amanda do the talking. This was the SUPER SWEET review Amanda and Taylor wrote after our session and oh my heart, I am so crazy thankful for the amazing clients I get the opportunity to serve. This job has truly been one of the biggest gifts of my life, and has brought meaning to my work in a way I never dreamed possible!! 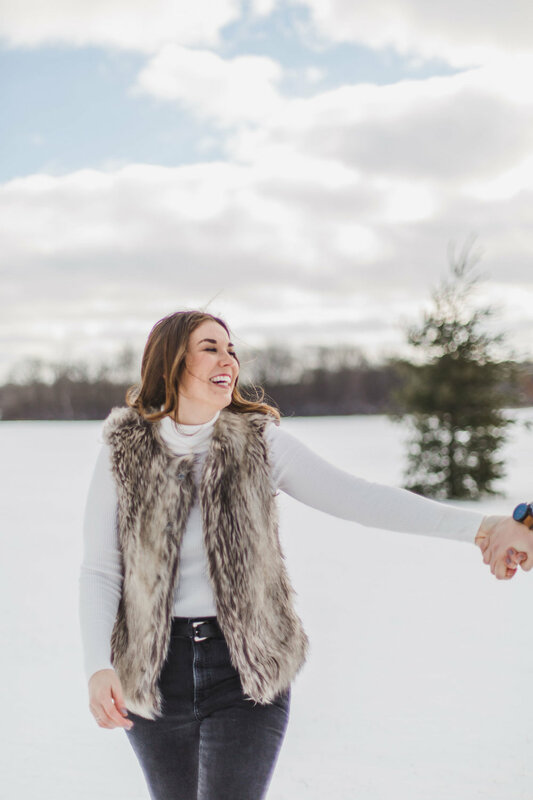 Now that I’m all emotional (hahaha but seriously, someone pass the tissues), please enjoy a few favs from this snowy engagement session! !